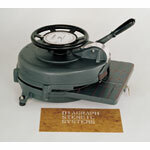 Diagraph manual stencil machines offer versatile an proven results. 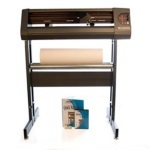 Our manual stencil machines are great for industries needing small to large size stencils which can be applied with an airbrush or aerosol ink. This stencil machine meets the U.S. Government specification GG-S-747 and is covered for one year on the parts. 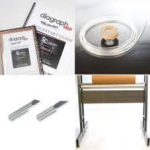 All of our manual stencil machines come in a kit that contains a stencil machine, 3" Oneshot Assembly, a Black Oneshot Cartridge and 25 sheets of 6.5 x 20 .015 natural stencil board.